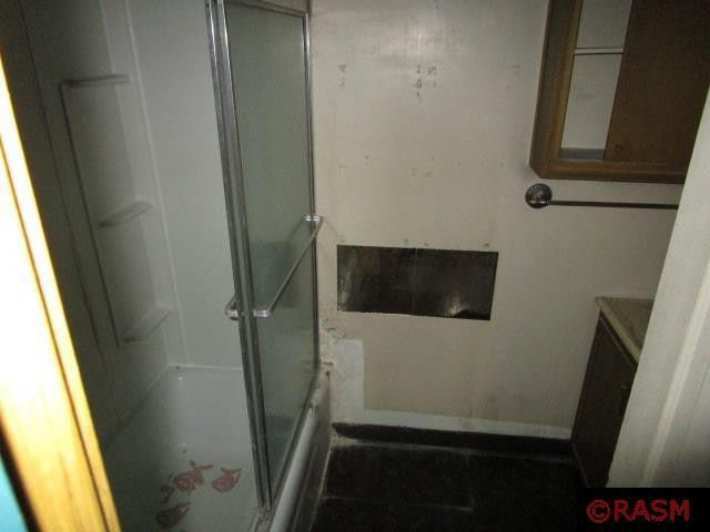 3 bed, 1 bath with much potential! 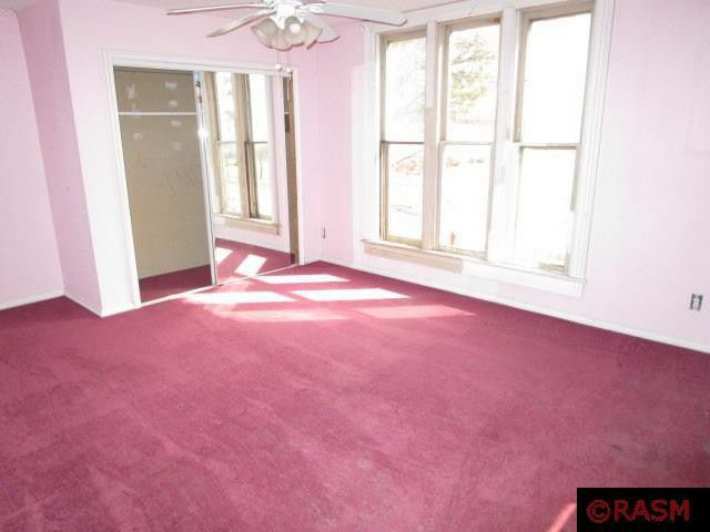 Large floorplan, detached garage, and a corner lot with great location in Winnebago. Needs TLC. Schedule a showing today! The exterior details are interesting. It sits in a commercial area but maybe someone is looking for a location like this. It needs cheering up, I feel like it’s crying! 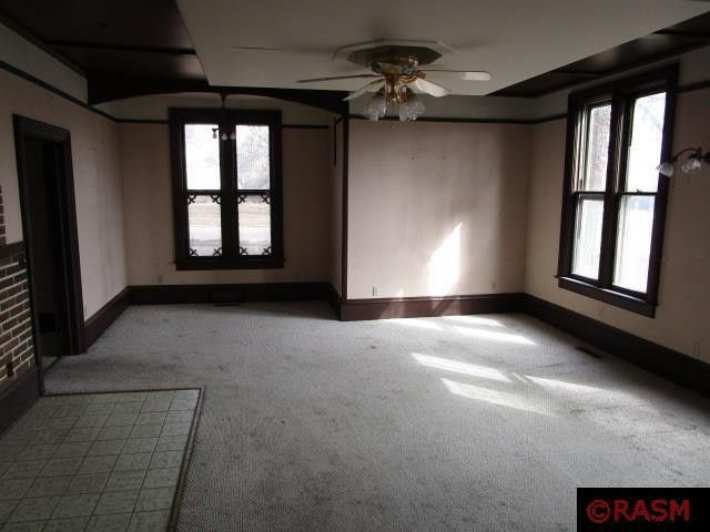 This is a sad looking house, but it could look so much better! 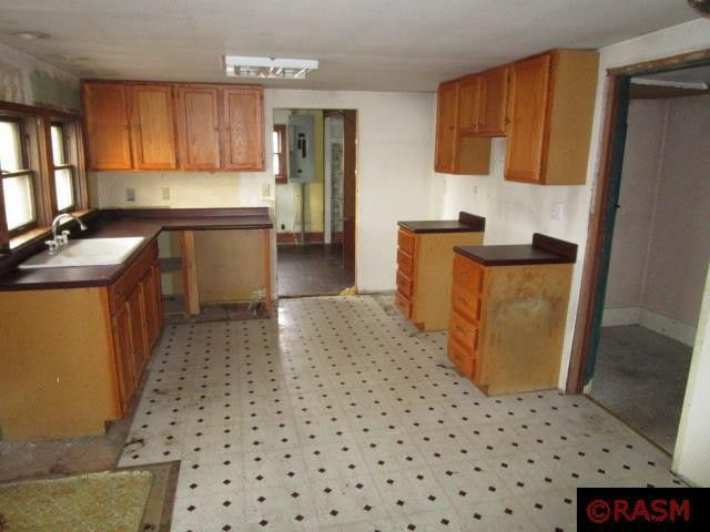 With such a low purchase price, just about anyone could bring this house back to glory. 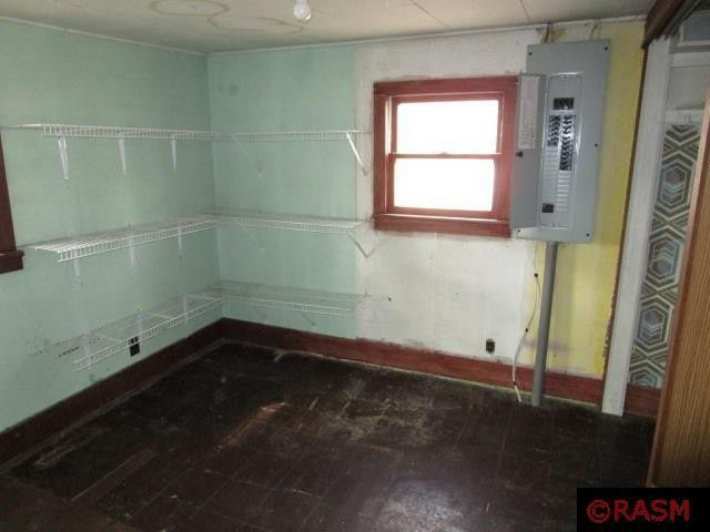 Nice, clean corner lot. It is a commercial area, but two doors down is full residential. Park across the street, walking distance to everything. The only real drawback is the gas station. 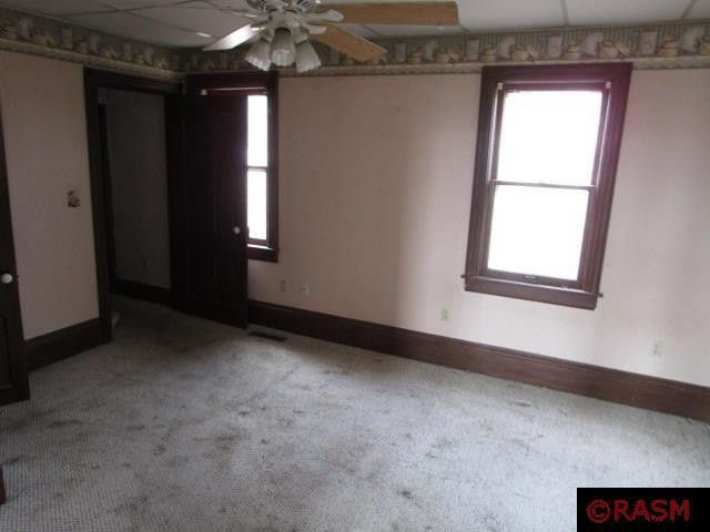 A nice, coordinated exterior paint job would really bring this place some happiness. The varied wall textures and treatments are just begging for a subdued, but multi-colored, paint scheme to make the most of the many details. The wing at left appears to be clad in a later vertically-oriented siding — there might be more interesting original siding beneath it. It’s location might be a plus from an investment point of view; being on Main Street it could probably be used strictly commercially, remain residential, or a become an interesting combination of the two. For those wondering where all the inexpensive houses are, here’s a great example! 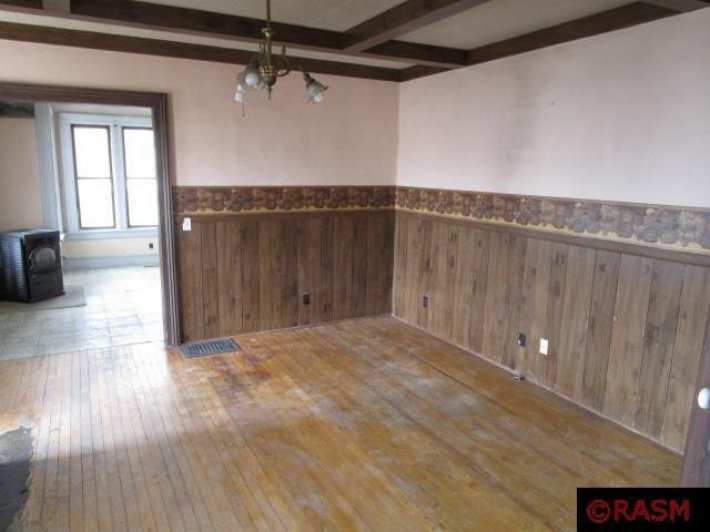 It appears to be a lot of house for the money, even though it clearly needs lots of work (but what house at this price doesn’t?). There is enough character and potential here to warrant a bit of hard work. As commercial settings go, I have seen much, much worse! 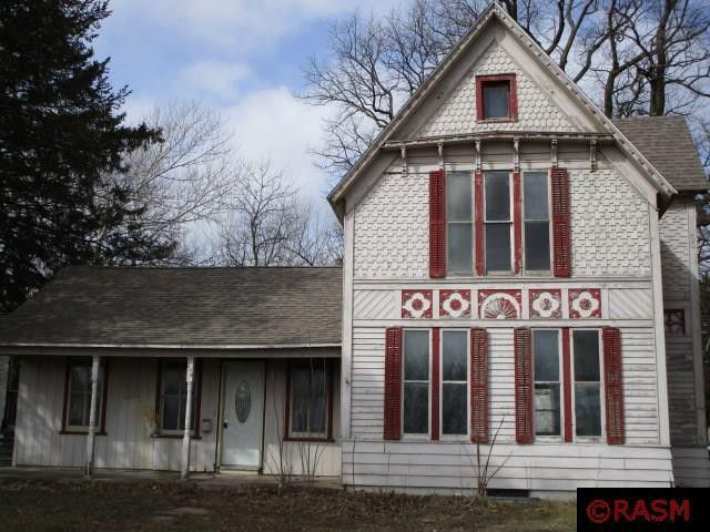 With its period exterior details, and blank slate interior, this looks like an amazing buy!